Entering springtime is like getting to color again with bright lemon and blushing rose crayons. Stark tree branches now blossom with flowers. It’s a season of hope. Perhaps the plethora of lemons used in spring baking, reflects the optimistic moods of recipe makers. Ironically, winter is the prime time for American lemon and its Japanese citrus cousin, yuzu. Italian lemons (specifically in the Sorrento region) are at their best in spring to late fall. 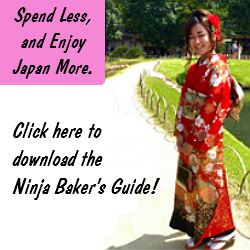 Whatever the season, I’m confident the Ninja Baker’s Easy Japanese Lemon Yuzu Bars will always receive a warm welcome. If I lived in Japan, I’d probably only use yuzu. The Japanese citrus provides a more perfect pucker. (In technical talk, yuzu is more astringent than the American lemon.) In the USA, however, only yuzu juice and dried yuzu bits are sold. So, lemon zest is still required. 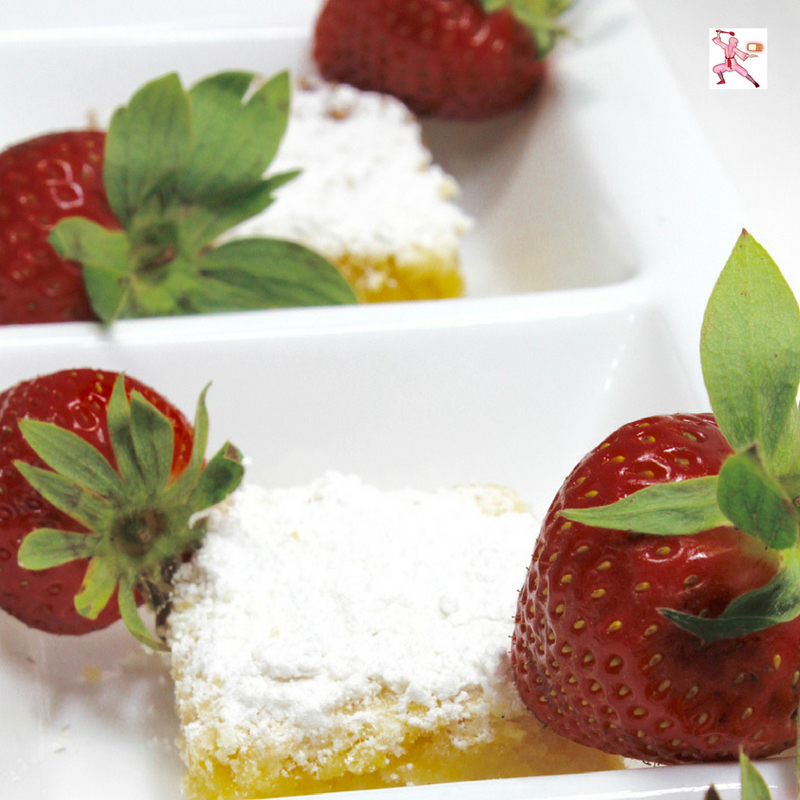 My Easy Japanese Lemon Yuzu Bars received rave reviews from my husband’s colleagues. However, to satisfy my sweet tooth, to counteract the slightly bitter yuzu, I’d add a tablespoon or two of sugar. Next time, too, I think the sugar cookie dough should be doubled. 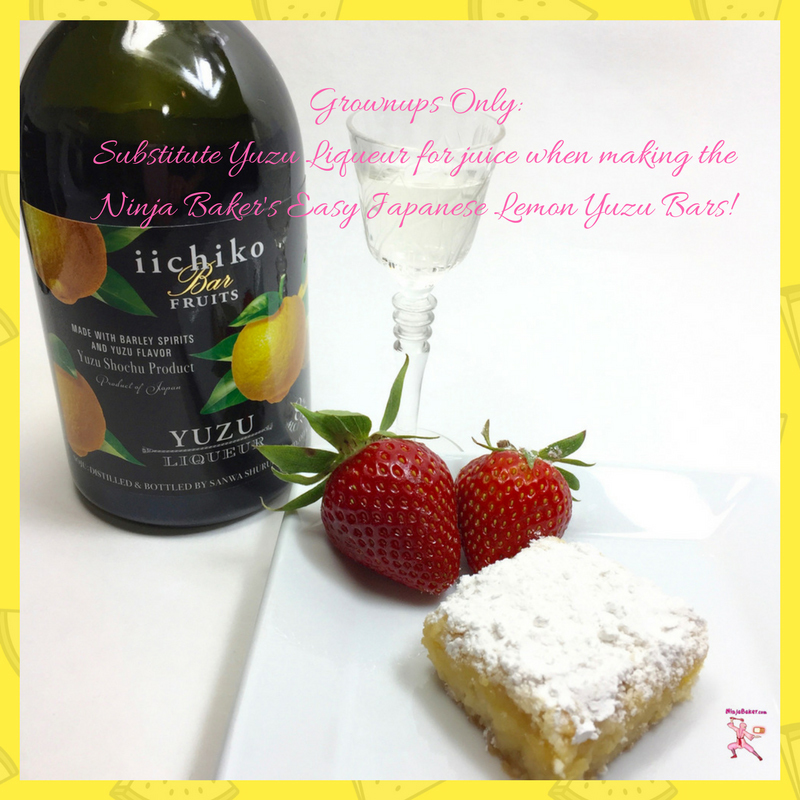 If your tastes tend towards less sugar, ignore the options for the Easy Japanese Lemon Yuzu Bars recipe below. 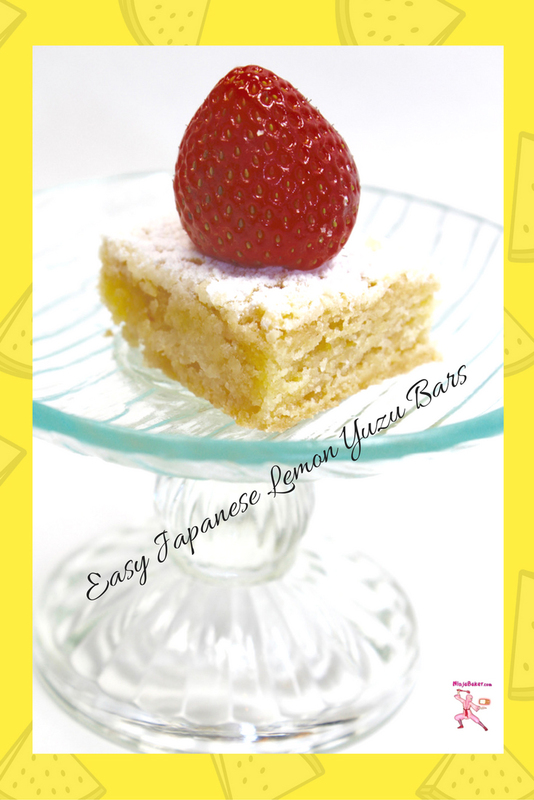 Luscious, lovely and light Easy Japanese Lemon Yuzu Bars present a perfect pucker. The tart Japanese yuzu juice is fantabulous. But you may want to add an extra sugar if you have a sweet tooth. Also, if you're a cookie fan, use 2 rolls of cookie dough. Ninja Note 1: Yuzu juice is available online and at most Asian markets. Ninja Note 2: Dried Japanese yuzu bits add dimension and texture. However, you can omit the bits and/or substitute coconut. 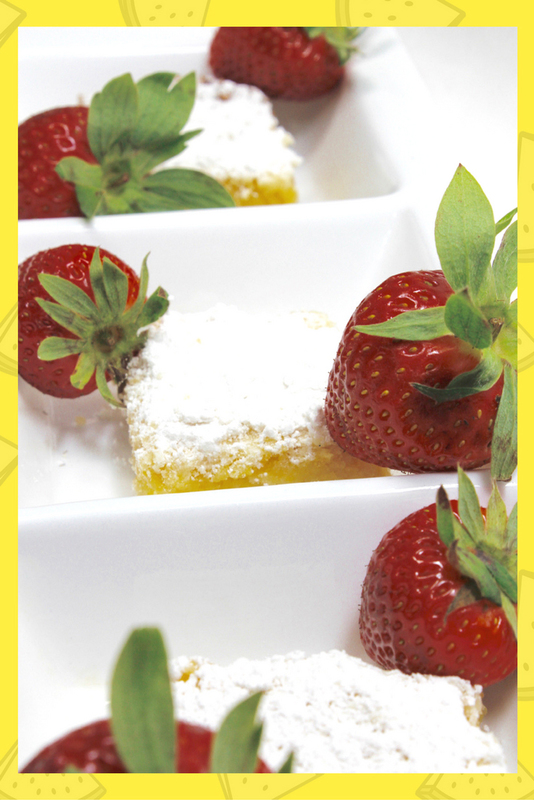 This recipe is adapted from a Pillsbury Lemon Bars recipe. Line a 13 x 9 pan with parchment paper. Coat with baking spray. Dip your fingers in flour. Press the sugar cookie dough(s) into the pan evenly. Place the whipped eggs in a large bowl. Beat in the sugar, flour, butter and yuzu bits until combined. Stir in the lemon zest and Japanese yuzu juice. Pour the mixture over the warm baked sugar cookie crust. Bake for another 25 to 30 minutes or until the edges are golden. Cool completely. Sprinkle with powdered sugar. Cut, serve and enjoy! The lovely Lisa Grant of Jersey Girl Cooks hosts today's Sunday Supper. Click below on any of the citrus recipes below which are designed to celebrate springtime and make you smile.